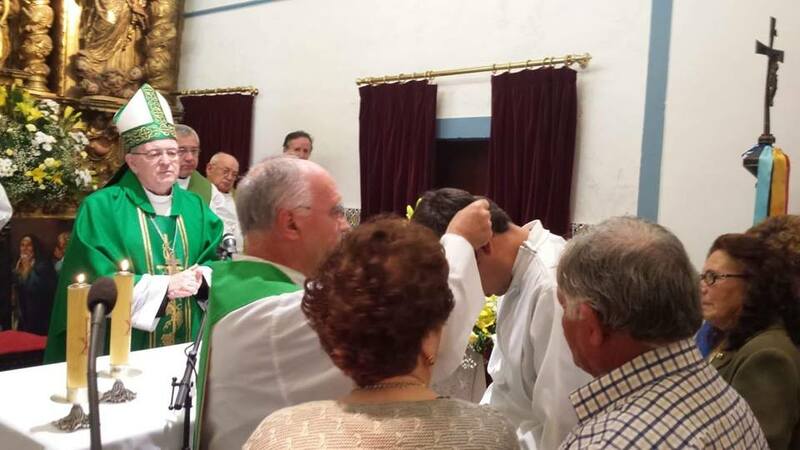 After a great weekend, from the Community of Ervedal, Alentejo, the parish that saw the CLM Pedro Nascimento grow up and today sends him off, our CLM Rufina shares with us the emotions of this special occasion. Today Alentejo, and more concretely Ervedal, has celebrated. It was already expected that it would be a success, but for sure it went well beyond all expectations, especially when you take into account such a beautiful church, so well decorated, where they are already the Extraordinary Mission Year, and whose pastor succeeds, certainly as a result of the work carried out over the years, to gather all the parishes under his care to take part responsibly and joyously in the missioning of Pedro Nacimiento to Ethiopia. 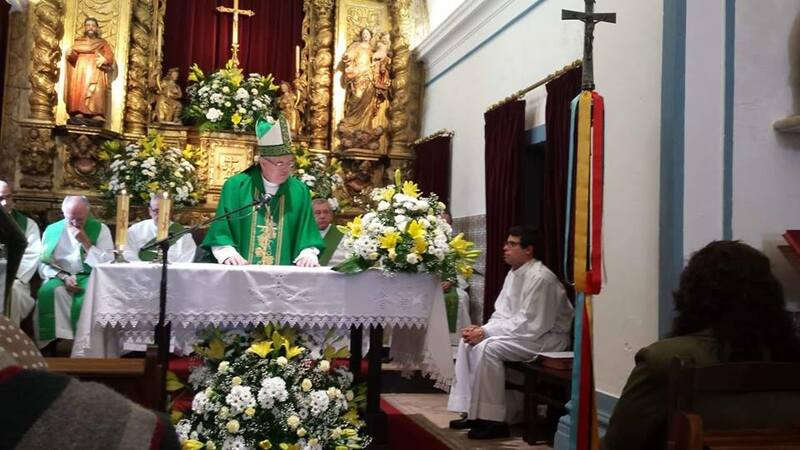 Without a doubt, the most important moment was the Eucharist presided over by Archbishop Francisco Senra Coelho with the participation of other invited priests, especially Fr. Francisco Medeiros, a Comboni Missionary from the diocese of Viseu. A reception followed for everyone where lunch in the good local style was served, which we enjoyed a lot. Pedro, as a CLM and being as well from Alentejo, I cannot forget to thank God for your missioning on this Extraordinary Mission Year, certain that it will be a time of growth and enrichment that will allow you, together with your Ethiopian people, to carry out a mission abounding in love, filled with the Comboni charism and enlightened by the smile the Lord lovingly placed on your face sweetening this soul of Alentejo that is so typically yours, in difficult moments. Therefore, go, my friend, go. Let us keep in touch! Happy Mission!